And the UN will condemn…Israel. Israeli police and security forces arrested a Palestinian man in connection with the murder of a 19-year-old woman from a West Bank settlement, whose lifeless body was found in the Jerusalem forest on Thursday night with multiple stab wounds. According to local media reports, the suspect confessed to the murder during his interrogation with Israeli security forces. Identified as Arafat Irfaiya, the 29-year-old suspect from the flashpoint city of Hebron was arrested in the city of Ramallah in the West Bank. “The interrogation of the suspect is ongoing and is focused in particular on the motives for the murder,” Israel’s Shin Bet intelligence service said…. Around 200 demonstrators gathered in Tel Aviv’s Rabin Square on Saturday evening to protest the murder. Crowds at the event lashed out at Prime Minister Netanyahu for what they called a lax response to terror. Throughout the day, far-right ministers called for retribution and the imposition of the death penalty. The suspect was reportedly arrested several times in the past for entering Israel illegal carrying a knife. IDF troops raided two residential buildings before finding the suspect in the Jamal Abdel Nasser Mosque, where he was an employee, according to Palestinian Authority news outlet Wafa. According to the report, Israeli forces collected video surveillance from the mosque and surrounding neighborhood security cameras. Following the raid, local residents reportedly threw rocks at IDF troops in what developed into small clashes which left two Palestinians lightly injured, according to the Palestinian Red Crescent…. 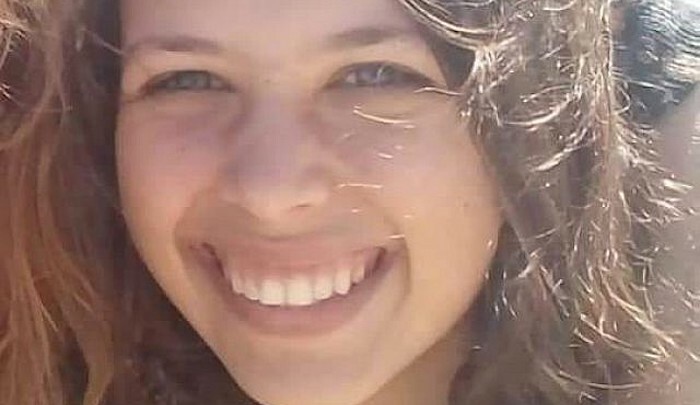 Ori Ansbacher, who had been reported missing Thursday, was found in the Ein Yael forest several hours later with “signs of violence” on her body, Times of Israel quoted police and medical staff as saying. Four Palestinians were arrested shortly after the body was found, local media reported, but police refused to comment further on details after a gag order was imposed on their investigation, which is being co-conducted in cooperation with Israel’s Shin Bet security service. They were reportedly released without charge, according to local reports. Initially investigators at the scene reported that the event was being handled as a criminal incident rather than terror related…. Earlier, local reports said that investigators had made a “significant breakthrough” in the case, with Channel 13 stating that police believe the most likely motive for the killing of the woman was “nationalistic”, as searches were also being carried out in the West Bank…. “This was a shocking and heinous murder, a murder out of blind hatred of a 19-year-old girls because she was Jewish. There is no room for these scum on earth. Today, more than ever, it is clear that the demand of Yisrael Beiteinu (party) for terrorists to be sentenced to death is justified,” Avigdor Liberman, Chairman of Yisrael Beieinu and former defense minister, said on Saturday….